This panel will dis­cuss how oral­ity and tech­nol­ogy in the arts, through so­cial narratives and urban de­ter­mi­nants, trans­mute re­sult­ing in lo­calised adopted new forms. The pro­found changes that have in­flu­enced artis­tic cre­ative processes by digital tech­nol­ogy are lead­ing to a re­de­f­i­n­i­tion of both the role of the artist and the relation­ship be­tween artist and au­di­ence. It has been thor­oughly discussed that dig­i­tal media art forms have a ten­dency to aban­don the clear-cut di­vi­sion be­tween in­di­vid­ual cre­ator and au­di­ence and move to­wards col­lec­tive sit­u­a­tions where au­thor­ship is shared be­tween many. 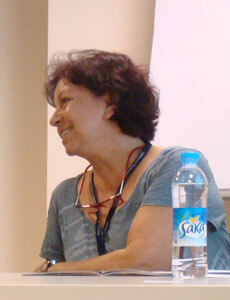 (Alexan­der 2007, Austin 2007, Bakioglu 2007, Pet­titt 2007). This panel dis­cusses how elec­tronic arts and tech­nol­ogy re­late to col­lec­tive and non-writ­ten as­pects of cul­ture. It ex­am­ines both spon­ta­neous processes sup­ported by the na­ture of dig­i­tal media and con­scious strate­gies that build on per­cep­tion and orality in glo­cal cul­ture. The panel will present and dis­cuss issues re­lated to this topic cen­tral to their collaborative re­search as par­tic­i­pants in the NeMe initiated project Through the Roadblocks which was first presented in May 22, 2009 at the e-Mo­bi­LArt con­fer­ence dur­ing the Thes­sa­loniki Bi­en­nial. This pro­ject in­ves­ti­gates how ideas and con­cepts are adopted and as­sim­i­lated re­gard­less of po­lit­i­cal, cul­tural and spa­cial bound­aries. A team of cu­ra­tors, cul­tural man­agers, schol­ars and artists lo­cated in 10 coun­tries spanning from Aus­tralia to UK and from Turkey to Is­rael and Pales­tine have been invited and their pro­pos­als are cur­rently under de­vel­op­ment promis­ing a rich va­ri­ety of in­ter­pre­ta­tions which will de­fine the sec­ond stage of the pro­ject. The third phase is planned to take place in Cyprus in 2012. In the history of architecture, cities have been trying to protect themselves by building walls enclosing their territories from the surrounding area and separating them from what exists beyond their locality. This is still practiced but in reverse. The walls since the 1950s are not built to protect but to isolate and exclude communities. Such was the case of Berlin and currently, Palestine and USA/Mexico. Architects such as Buckminster Fuller (Dome over Manhattan), Superstudio (Continuous Monument) and Rem Koolhaas (Exodus) however continued to experiment with the idea of large enclosed urban territories. The breakdown of the Iron Curtain marks a radical change in the way societies impose boundaries between groups of people: The apparent regional, physical boundaries are gradually being replaced by invisible, virtual ones, while at the same time boundaries between countries and ideological blocks are being replaced by socioeconomical divides, which find again their physical expression in gated communities. Motivated by this observation, the NeMe project “Through the Roadblocks” explores the permeability of politically induced barriers, both physical and perceived, aiming to investigate notions of how concepts are adopted through mutation, augmentation and resulting in cultural adaptation irrespective of political, societal or cultural constraints. 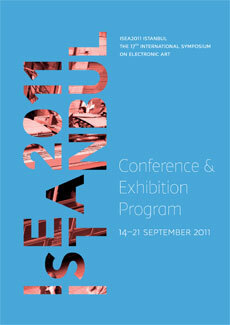 NeMe first announced “Through the Roadblocks” on May 22, 2009 at the e-MobiLArt conference during the Thessaloniki Biennial. Since then, a team of curators, cultural managers, scholars and artists located in 12 countries have been invited and their proposals are currently promising a rich variety of interpretations which will define the second stage of the project. These participants who, mostly have had first hand experience of both geopolitical and cultural constraints and related paradoxes which have for a very long time characterised this Eastern Mediterranean region, have been invited to reflect on these considerations and tensions which have informed their academic,visual and curatorial practices. The final stage of this project will take in place in Limassol, Cyprus in 2012 and will include a documentary film festival, an international conference and an exhibition which will focus on collaborative works that mirror the ‘dialogic imagination’ and thus endeavor to frame the project within a culture discourse that has to a large extent, neglected trans-disciplinary voices. The new contexts of a world redefined through networked information technology and global international transport require such an interdisciplinary approach. In order to guide the project, several key areas have been identified, which are summarized here. The telepresence of new media networks and ensuring media discussion establish the emergence of innumerable contexts and narratives. It is no longer possible to apply a singular critical narrative to the social value of culture that is responsive and relevant to the constantly changing socio-political environment. This resultant fragmentation with a multiplicity of dialogues is possibly the most effective and constructive response to both physical and virtual events often giving a provocative voice and agency to the apparent redundancy and aporia of conventional mainstream articulation of what, whom and where is a pertinent and worthy cultural focus. The fairly recent impact of stalwart subaltern and minority discourses using both physical and web-based platforms are changing the dynamics of the historical norm belonging to dominant European and Western aesthetics. The exoteric nature of web based interactivity of a myriad of contributors crosses both borders and the social spectrum eroding issues of difference and distance and it is this networked practice that has denoted a more heuristic methodology in positioning an open-ended understanding and integration of culture and aesthetic thought on a global forum. Within this framework of “new theories for the new reality” (Hardt and Negri, 2004), the impact of location and first hand experience punctuates a qualitative shift to the formation of a new cultural aesthetics with the assimilation of ideas, actions and voices of uneven volume but unanimously challenging and permeating the membrane of the dominant top-down nature of existing systems. In a world marked by constantly increasing migrations due to social instability and economic need, the issues of diverse cultures coexisting have an acute impact on everyday life in many regions and countries. Besides the pressing problems of vital resources such as living space and other fundamental needs for physical survival, equally important and inextricably connected, are the problems of cultural survival and of mutual understanding and tolerance between groups of different cultural backgrounds. In addition to the physical barriers of country boundaries or roadblocks, the intangible barriers of language, culture, habits, social status and mentality play just as important a role in this context. The individual contributions that form part of “Through the Roadblocks” exhibition deal with above issues as they are manifested in different dimensions of the experience through sound, image, text and action. We report here the approaches of Iannis Zannos, focussed on the aspect of sound, and of George Katodrytis, concentrating on image especially in the urban environment. “Osmosis” explores the idea of cultural interchange and adaptation through an acoustic metaphor: It creates a sonic environment where sounds from three different “live” sources change gradually by adopting each other’s distinct characteristics. In the purely acoustic dimension of the project, three groups of sounds are initially placed in different regions of the performance space. As individual sounds start “migrating” from their region of origin to one of the other two regions, they experience the effects of cultural osmosis observed in multicultural societies: They impart some of their characteristics to the sounds of their new environment, while they themselves start adopting characteristics from the sounds of their new environment. Three very distinct types of sources were chosen for this piece: The flying calls of hundreds of swallows (marlins) flying above the city of Corfu in Greece recorded in July 2007 by the composer, the songs of Weddell Seals recorded in Antarctica by marine biologists, and the encoded messages broadcast by “Numbers Stations” for espionage purposes, recorded by short-wave radio amateurs all over the world. Orientation, mating, communication between peer groups and territoriality, are basic needs that lead to strikingly diverse, even alien sonic worlds, in the environments of a small town, the antarctic, and different countries during the cold war. When such different sounds are brought together, the boundaries between familiar and alien become blurred, and a search for new ways of discerning meaning in the maze of seemingly random meetings of different entities begins. The acoustic transformations of the sounds are performed in real time using spectral processing techniques implemented in SuperCollider, an object oriented real time sound and music synthesis environment. This realisation of Osmosis is part of a larger project that involves realizations in interactive installations with different media (sand, water, graphics synthesis). The technology of the production of image, such as telegenic vision and satellite urbanisms, has had a dramatic impact on the way we plan new cities in the 21st century. Middle East deserts are canvasses for global and nomadic crossroads; north-south immigration patterns and east-west trading axes bisect a tabula rasa of hues, extreme climates and strange topographies, provide a complex matrix of interconnectivities. The emerging post-colonial city of the 21st century has grown out of new technologies, telecommunications and mega infrastructures that have brought about dramatic morphological and ecological changes. This is the future state of world urbanism – prescriptive and full of visual dramatization. As the technology in the production of imagery of un-built or newly built architecture has become more sophisticated, its image becomes an end in itself and can now be transmitted across the globe instantaneously. Coastal necklace settlements, sand and silicone, pixelated patterns, landscape and render farms, fractal and parametric formations, simulated SimCities, dynamic formations, master plans and speculative developments are now projecting new satellite urbanisms. This spatial and urban approach emphasizes enclaves but also exclusiveness. We are now planning and designing cities by gazing down on the action from heavens. Reconnaissance technologies turn into spectacle and “telegenic” fantasies addressing mass tourism. Simulated panoramas and imagery of unfinished projects give rise to an exciting promise and fantasy. In effect digital imagery and technology is shaping the future of cities. After all we are all nomads inhabiting an image. The political boundaries are now fused into a new reality, boundaries of enclaves and textures. The dissolution and re-definition of boundaries has as a consequence a loss of orientation and, in the end, a profound crisis of the established sense of meaning, which been recorded in works such as Technoromanticism by the Architect and Media Theorist Robert Coyne (2001). Theoreticians such as Kingwell (2008) and LaBelle (2006, 2010) analyse the impact of this on the experience of urban environments and of sound. Another approach is based on the impact of technical media on meaning in society as reflected in the phenomenon of literacy and of text as a primary vehicle of meaning(s) (Ong 1982, Olson and Torrance 2001). “Through the Roadblocks” is a research project including a collection of visual investigations which approach the issues of boundaries and meaning through creative collaboration and sharing. The hub of this project, Cyprus, is situated in a region at the geographical boundaries between what has been generally perceived as the western culture of printed media and near eastern culture of orality. Apart from challenging this staid East/West ideological construct, its experimental actions are inherently and inevitably confronted with the challenge of connecting the reconfiguration of meaning at the permeable borders between technology and orality, of direct experience and textual reconstruction. Coyne, Richard. 2001. Technoromanticism. MIT Press, January 26. Kingwell, Mark. 2008. Concrete Reveries: Consciousness and the City. Viking Adult. LaBelle, Brandon. 2006. Background Noise: Perspectives on Sound Art. Continuum, April. LaBelle, Brandon. 2010. Acoustic Territories: Sound Culture and Everyday Life. Continuum. Olson, David R., and Nancy Torrance. 2001. The making of literate societies. Wiley-Blackwell. Ong, Walter J. 1982. Orality and Literacy: The Technologizing of the Word. New edition. Routledge. We would very much like you to watch these videos, presenting the keynote talks delivered in ISEA 2011: Christiane Paul, Terrence Masson, Sara Diamond, Jay Bolter, William Uricchio, Oliver Grau, Roman Verostko, Sean Cubitt, and Isea2011 Tv Spots 60 Seconds.